Yet another Awesome Converted White Lion Hero! The lads from The Black Dragon Team are back again! This time with another converted White Lion Hero with a BIG Axe. 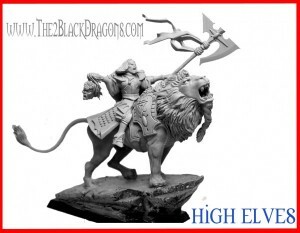 Just beautiful and now I really want a White Lion themed army!